Beautiful shot. Love those raindrops. 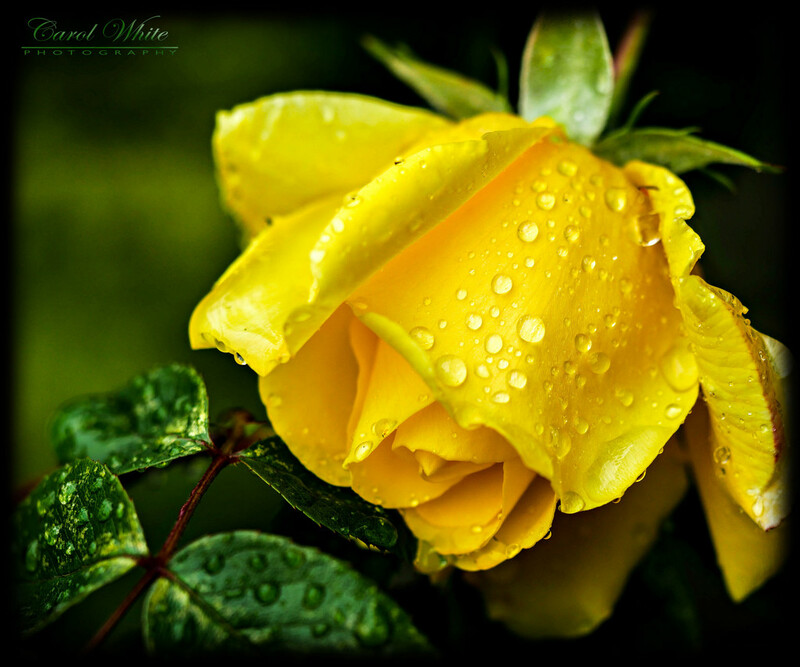 such a lovely yellow rose. The green leaves covered in rain drops have taken on a metallic look. I just love the way they shine.